Tabs: Instant Prices, Low Minimum, Configure Online! Printed Tabs with brilliant full-color printing. Perfect with our Binders. Low Minimum Quantity! Full color printing & your choice of coating on one or both sides. Make an impression with high quality glossy stock. Optional 3-hole drilling & collation. ThePaperWorker has been manufacturing Binders & Tabs for over 60 years - Call, email or chat with us today! Our printed tabs are manufactured using the highest quality material available! Because of our state-of-the-art offset and digital capabilities, ThePaperWorker is able to offer a variety of solutions for binders & tabs with Low Minimum Quantity. 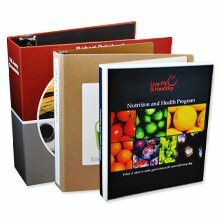 No matter the project scope, we can deliver the printed binders & tabs that will make your brand shine! Need 3-Ring Binders to Accompany Your Printed Tabs? Order Turned Edge Binders online on ThePaperWorker! ThePaperWorker offers over 20 styles of Turned Edge 3 Ring Binders including Roundback Binders, Front Flap Binders, and Turned Edge Binders - design printed binders with logo and order online today! Order Paperboard Binders online on ThePaperWorker! ThePaperWorker offers many styles of paperboard binders, including standard paper binders, paper binders with flap, and super-panel paper binders. ThePaperWorker is your source for high quality paper presentation binders and presentation binders, including paper binders, paper binders with flap, and super-panel paper binders - design printed binders with logo and order online today! 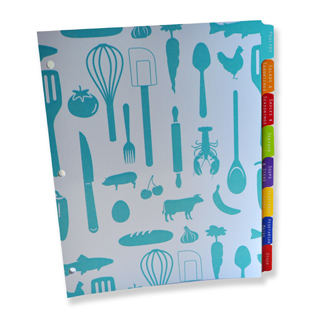 Order Vinyl Binders online on ThePaperWorker! ThePaperWorker offers both Screen Printed Vinyl Binders and Clearview Embedment Vinyl Binders. ThePaperWorker is your source for high quality vinyl binders and presentation binders - design printed binders with your logo and order online today! Order Organic Binders online on ThePaperWorker! ThePaperWorker offers many styles of 3 Ring Binders & 3 Ring Eco Friendly Binders including Raw Organic Binders and Labeled Organic Binders. 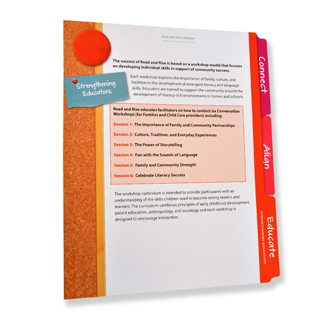 The Organic Presentation Binders on ThePaperWorker are made from 100% post-consumer recycled content. ThePaperWorker is your source for high quality presentation binders that are Eco-Friendly - design your printed binder with logo today! Why ThePaperWorker for Binders & Tabs? Our binders & tabs have been rated the highest quality on or off the Web, and we look forward to producing only the highest quality binders, tabs, and creative packaging for your brand! We guarantee you will be thrilled with the quality of ThePaperWorker’s Packaging designs. Our team of experts includes structural packaging engineers, designers, finishers and service staff all under one roof - we don't outsource a thing! We thrive on delivering top quality, functional and durable products, by being innovative and imaginative. It's a continuous process to improve and our commitment to excellence that separates us from our competitors. Our printed binders & tabs are built to impress! Check out our blog for more examples of the packaging we've produced. Don't see the tab style you need? If you cannot find a size or style of tabs that works, then we are happy to offer you a custom quote. Contact us directly using our online form, and a sales specialist will be in touch with you!